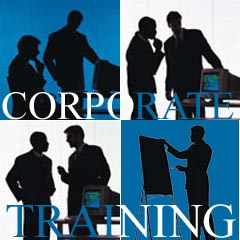 Posted by Bima Hermastho in Corporate Training. Several years ago, as the training director for a $1 billion bank, my job was to teach leadership and management skills to managers and officers. While all of my programme reviews were enthusiastic and excellent, I began to see a decrease in attendance. Budgets were being cut and the various departments were reluctant to send their people to the class because they could no longer justify losing a revenue generator for one day. A thorough review of the training programme by me and my colleagues revealed that the department managers were under increasing pressures to deliver improved business results that were secondary to the focus of our programmes. In short, my programmes were teaching critical, but soft skills such as leadership, motivation, and performance evaluation at the expense of hard skills such as increasing deposits, improving the efficiency ratio, and lowering loan default rates. From the department executive’s perspective, they could not justify the return on investment in soft skill training. Something had to be done.